to offer advice when it is needed most. Liberty Solicitors is a specialist law firm & has rapidly become a highly distinctive firm across West Yorkshire and across throughout the UK. The firm is not afraid to take on challenges that would daunt many others. The firm’s ethos is to ensure that the ordinary person has access to the same good quality legal advice as available to public bodies, insurance companies & multi-nationals thereby leading the firm to take on many David & Goliath legal struggles for justice. It is the combination of being leaders in their fields of law & calculated risk takers that have helped to build Liberty Solicitors reputation & to make it stand out from its competitors. The lawyers at Liberty Solicitors are given freedom to pursue difficult or unpopular cases that push the boundaries of the law which may be of little interest to other firms to champion the rights of those facing the Justice system and victims of injury. Whether it be in the field of Serious Crime and Fraud, Children and Family, Personal Injury and Medical Negligence or Immigration, the passion for the practice of law has been a key to the firms direction & success. We are committed to achieving access to justice for all to secure fair trials and just outcomes by providing first-rate legal advice. Our first priority is always to clearly understand the needs of our clients as every individual case has a unique set of circumstances. We thrive on the challenge of the most difficult & unique cases. We aim to build an open, honest & supportive relationship with our clients combined with objective, professional advice & expertise. All our lawyers are passionate about their work and determined to achieve the best outcome for their clients no matter what obstacles they face. We believe attention to detail and case preparation is the cornerstone of success. The firm has never been afraid to challenge the system whatever the size and nature of the case and prides itself for standing up for victims and suspects where others may have let them down. We have a reputation for our commitment and proven ability to get results. We are available 24 hours a day 7 days a week in Leeds, Bradford, West Yorkshire and throughout the UK to offer free advice when it is needed most. Liberty Solicitors is a specialist law firm & has rapidly become a highly distinctive firm across West Yorkshire and across throughout the UK. The firm is not afraid to take on challenges that would daunt many others. The firm’s ethos is to ensure that the ordinary person has access to the same good quality legal advice as available to public bodies, insurance companies & multi-nationals thereby leading the firm to take on many David & Goliath legal struggles for justice. 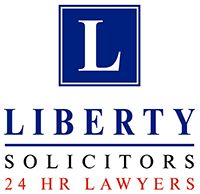 It is the combination of being leaders in their fields of law & calculated risk takers that have helped to build Liberty Solicitors reputation & to make it stand out from its competitors. We partner with our clients to help them in every way possible, defend their interests and defend their reputation. We do this by taking a tailored approach to the needs of our clients. We are passionate about helping our clients achieve their goals, no matter how many obstacles they face. Our clients’ challenges are our challenges and we will do whatever it takes to help them achieve the best possible outcome. Although our offices are in Leeds and Bradford, we are able to take on cases from across the country and beyond. If necessary, we can meet clients or make arrangements for meetings, across the country. We are forward thinking, flexible and easy to engage with. We are proud that our clients regularly tell us that we are great to work with. We know that our clients value advice that is innovative, practical and personal to them and we pride ourselves on getting to the heart of our clients’ interests. It means our clients can remain confident they have the very best legal expertise. We provide free 24HR advice which is available to everyone. We create a high performance culture that is inclusive, supportive and where we expect the best of each other. Diversity makes good business sense and that is why our strategy to diversify our firm sits within our business. We can be where you need us to be. We deliver our services nationwide and beyond.